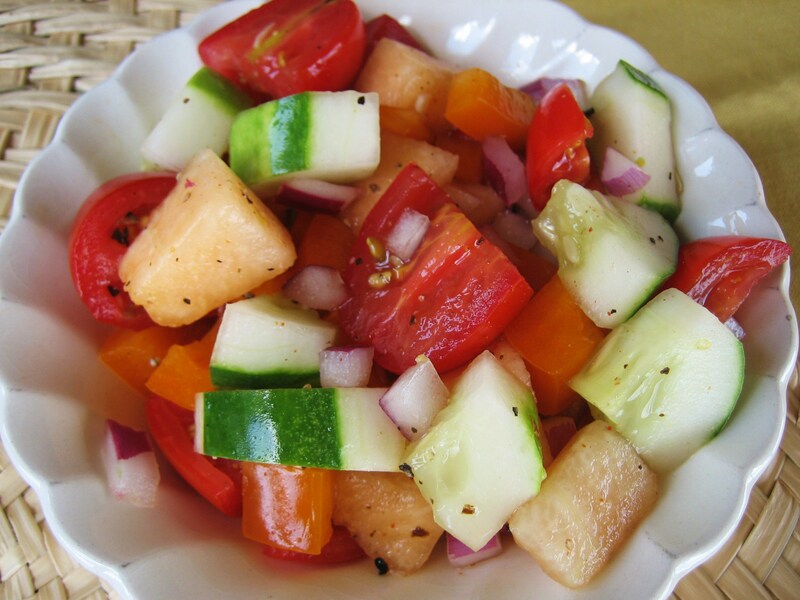 Melon, agave, and a tiny hint of cayenne take this ordinary tomato and cucumber salad to extraordinary with a burst of flavor. It’s sweet, spicy, and refreshing. Surprise your friends with this unique summer salad at the next barbeque. Whatever it is that makes pregnant women crave weird things, I’m pretty sure I have it all the time. As I’m trying to eat everything in my refrigerator before vacation (this is counteracting my plan to get in shape for the beach, by the way), I keep finding myself pairing the oddest things. Oreo cookies, cream filling removed and replaced with peanut butter and banana. A baked sweet potato doused in hot sauce for breakfast. Crackers dipped in tomato paste and hummus. 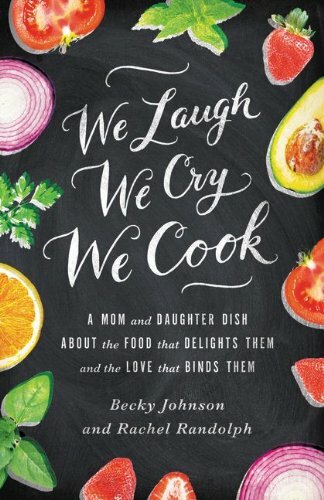 Sometimes I question my authority to co-write a food blog. I mean seriously, how can you trust the palate of someone who removes the filling from their Oreos? However, sometimes my weird cravings create something truly delicious. 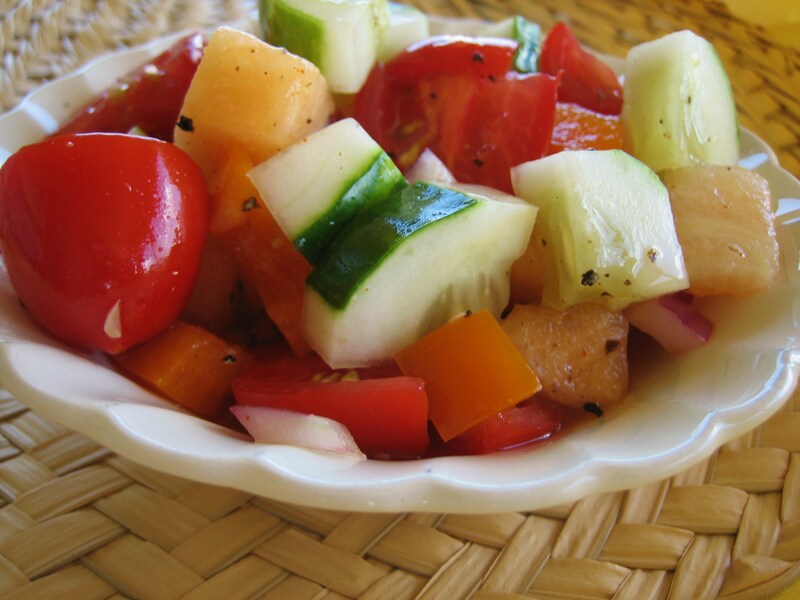 When I took a bite of this salad with crisp cucumbers, bright tomatoes, sweet cantaloupe, red onion, and an agave and cayenne vinaigrette, I was in love. It’s an odd combination of fruits and veggies, of spicy and sweet, but it works I tell ya, it really works. It would brighten up and bring a perfect balance of acidity and flavor to grilled tofu or chicken for a healthy summer dinner. It would also be a great side dish for Fourth of July parties, no refrigeration needed for at least a few hours. Mix vinaigrette ingredients and toss with chopped fruit and veggies. Serve.